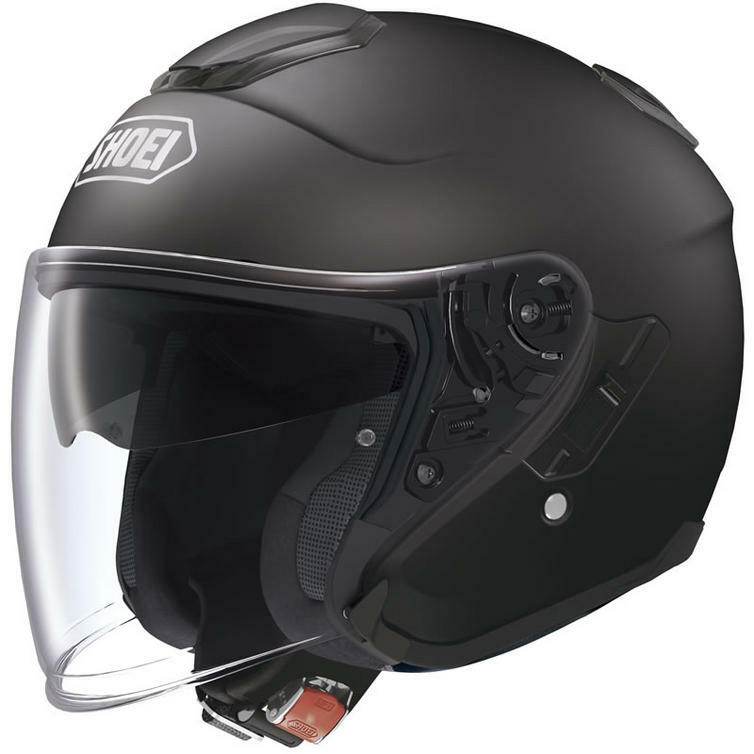 Ghostbikes are proud to stock the new Shoei 2013 J-Cruise Open Face Motorcycle Helmet. Shoei have once again developed a revolutionary new helmet that sets the brand apart from any other helmet brand. 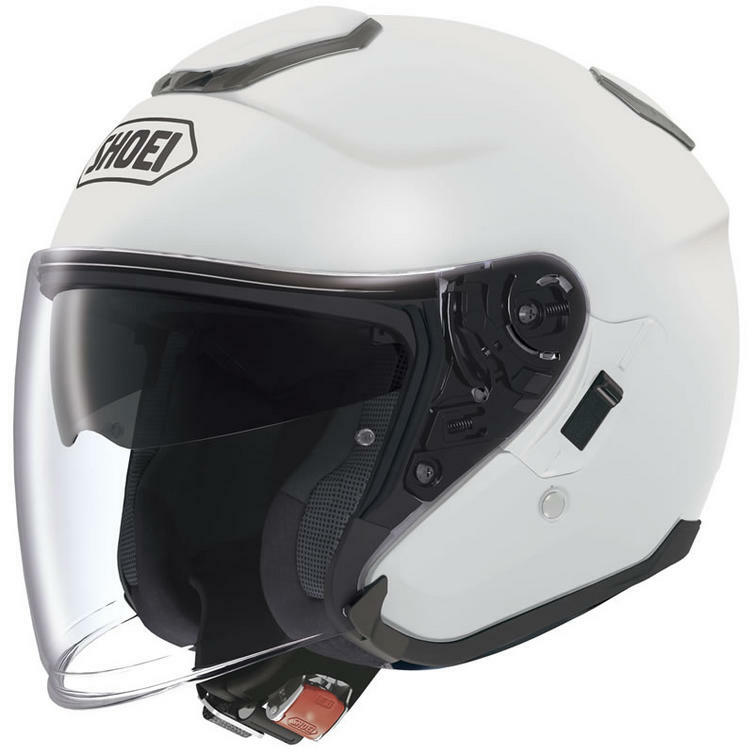 Changing light conditions can result in dangerous situations for any rider, therefore a built in sun visor has been on the wish list of many Shoei customers. 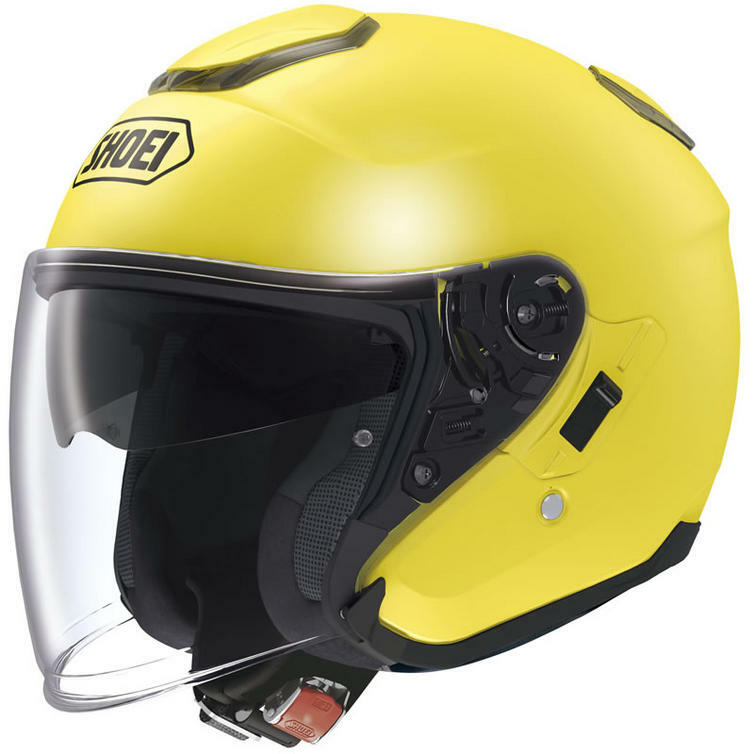 Shoei have listened to its customers and have come up with a unique solution to ensure the overall safety will not be weakened by a thinner setup with an impact absorption liner placed inside. Instead, a shell is placed outside while the thickness of the original EPS liner is unchanged. The additional inner visor is injection moulded which results in a practically distortion free visor whilst also filtering out 99% of UV light. The inner sun visor system can be activated with gloves to ensure a ultra fast reaction time. Add to this the usual high specification that includes a AIM Shell construction, advanced aerodynamics and ventilation and a multi-density EPS liner and you can see why the new GT-Air is the most hotly anticipated helmet release of the year. 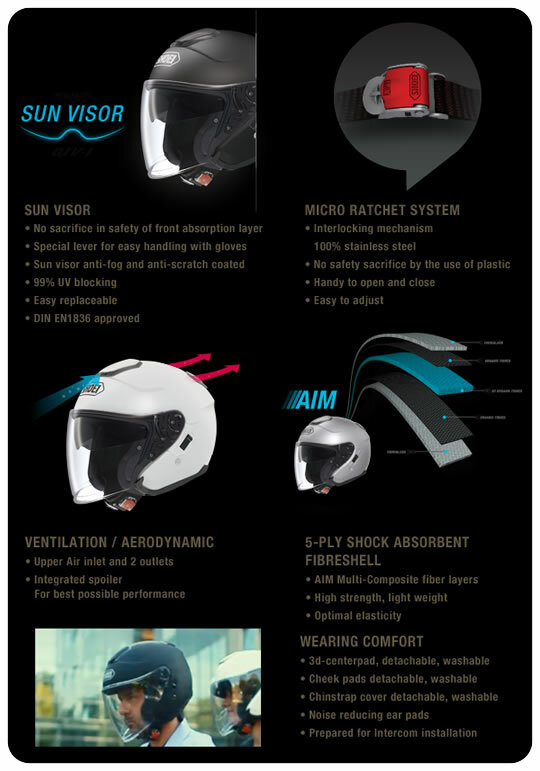 Make sure that you order your Shoei J-Cruise Motorbike helmet with inner sun visor from GhostBikes today! 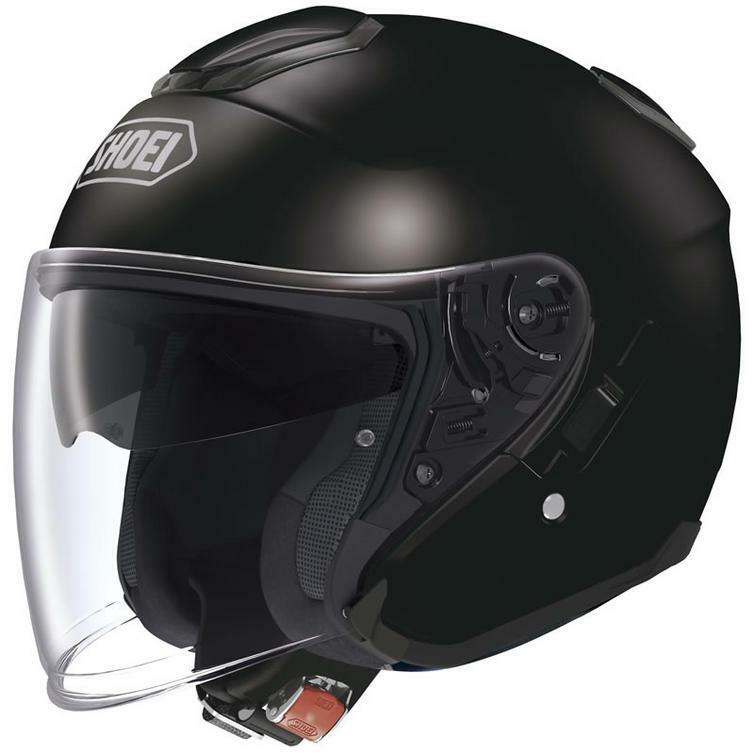 Ghost Bikes now stock a full range of Shoei Motorcycle Helmets and Accessories . Please click here to see what's currently available. 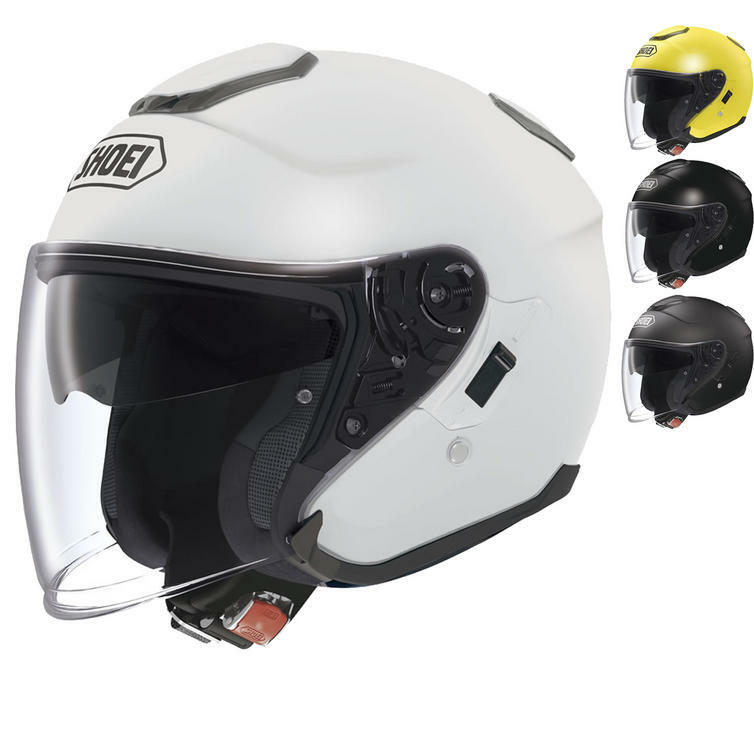 The Shoei J-Cruise Plain Motorbike Helmet is packed with features..
Shoei J-Cruise Open Face Motorcycle Helmets are currently available in the colours shown in the product variation above, if there is no variation option, it will be available in the colours as shown in the pictures above. 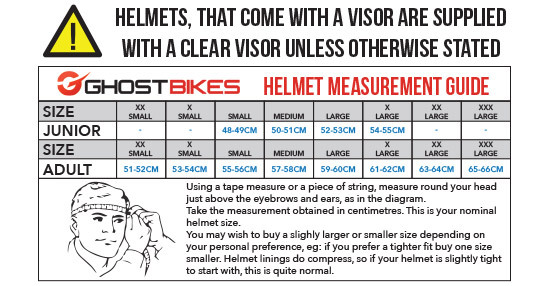 The Shoei J-Cruise Scooter Safety Helmet is available in various sizes, please use the guide below to help determine your correct size preference.